The reading and writing skills that students develop in their high school years lay a vital foundation for lifelong learning and communication. That’s why Grade Potential provides high school reading tutoring that empowers kids to reach their reading and writing goals. Grade Potential offers individualized high school reading tutoring catered to your individual child. 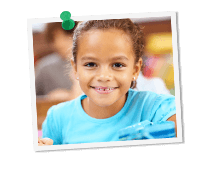 We work with you at your location and on your schedule in order to make tutoring as convenient as possible. What’s more, we take into account the unique personality and learning style of your son or daughter, using that information to help him or her move forward academically. Our talented instructors are knowledgeable about reading and writing coursework and especially about the curriculum in particular areas. That’s how we provide the tools that help your teenager master reading and writing homework, gaining confidence in the classroom and beyond.